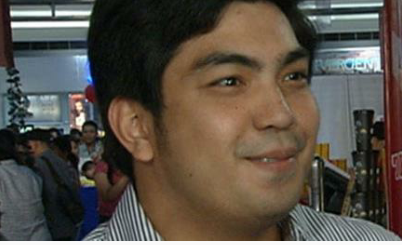 Did Jolo Revilla tried to commit suicide or just an accident? February 28, 2015 morning. Viral News: Cavite Vice Gov. Jolo Revilla, a son of jailed Sen. Ramon “Bong” Revilla, was rushed to a hospital for a gunshot wound on his upper right chest, Cavite Gov. Juanito Victor Remulla said. Revilla was brought to Asian Hospital and Medical Center in Muntinlupa City, according to Senator Revilla’s talent manager Lolit Solis. She said the younger Revilla was hit hard by his father’s incarceration. “Jolo idolizes Bong. Jolo lost a source of strength,” Solis told Inquirer. “It’s too painful,” she said. Remulla said the incident happened “this (Saturday) morning,” although he did not provide any more details as of this time. Clifford Elorde, media officer for Senator Revilla, said the family would issue a statement soon. “The Revillas are asking for prayers for Jolo,” Elorde said.